Research and advisory firm RedSeer Consulting which aims at achieving excellence in the consumer internet market, reveals its take on the unit economics during the 2017 edition of the e-tailing mega sales event. 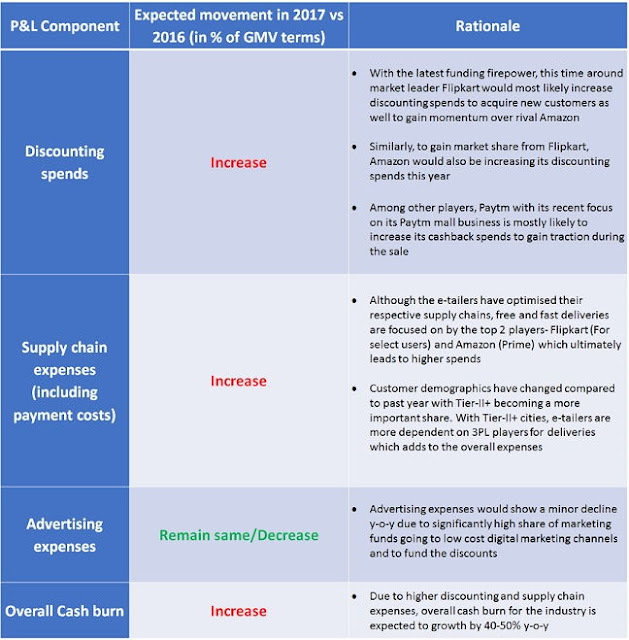 As e-tailers focus on an offering better than ever discounts and also offering a faster than ever delivery experience, including to Tier 2+ cities, this year will see a significant growth in cash burn y-o-y. 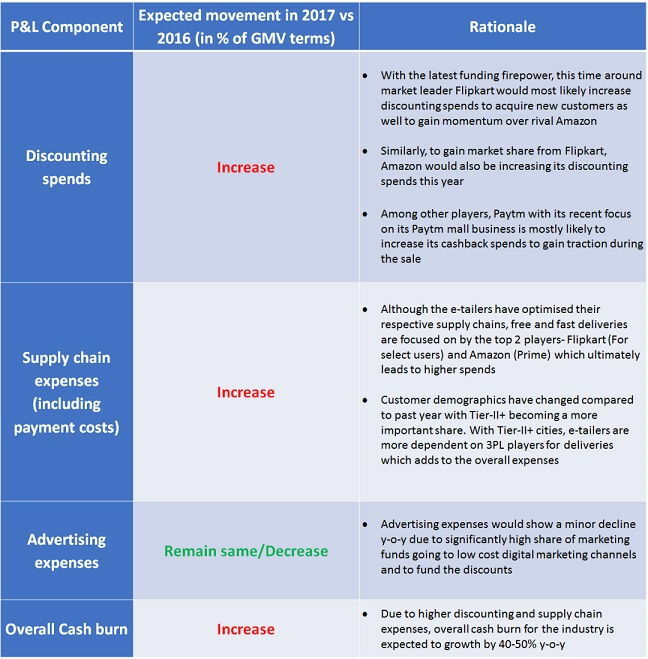 Which could pay off if the industry is able to deliver a top-class experience to the millions of new shoppers this time around and retain them going forward.